Bilbo Baggins once said “I’m going on an adventure.” And it seems rather fitting that a few weeks ago I was lucky to go on my own adventure to Middle Earth or its more well-known name New Zealand. 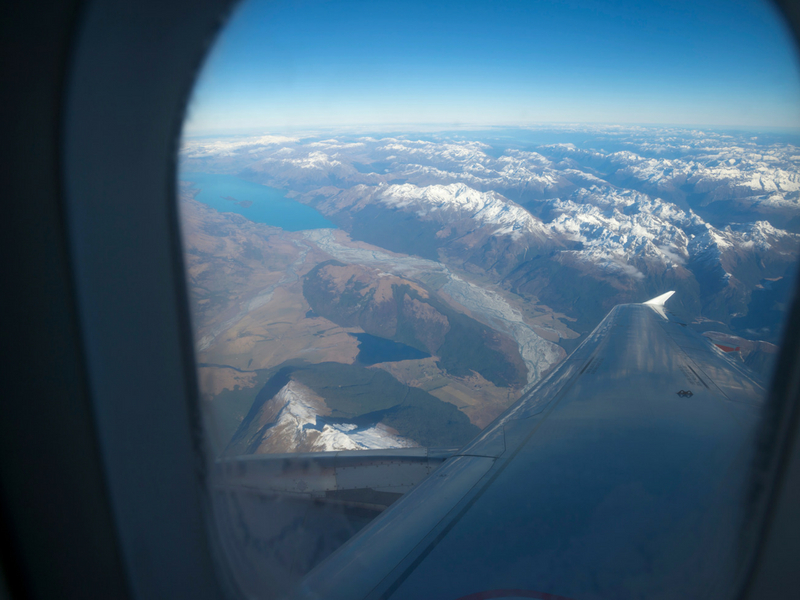 Nothing can quite prepare you for what lies ahead in New Zealand and although the flight was long (27 hours travelling) the first glimpse of snowy capped mountains and turquoise waters give you a sense that something special awaits you. New Zealand or Aotearoa (the Māori name for New Zealand) is surprisingly not that old. It was only discovered in 1642 by Dutch explorer Abel Tasman but it is said Polynesians settled there as far back as 1250 and developed what is now known as Māori culture today. Made up of large number of islands, New Zealand’s largest two, the North and South Island offers a diverse range of scenery and activities that is impossible to fit into just a few weeks but I definitely gave it a try. 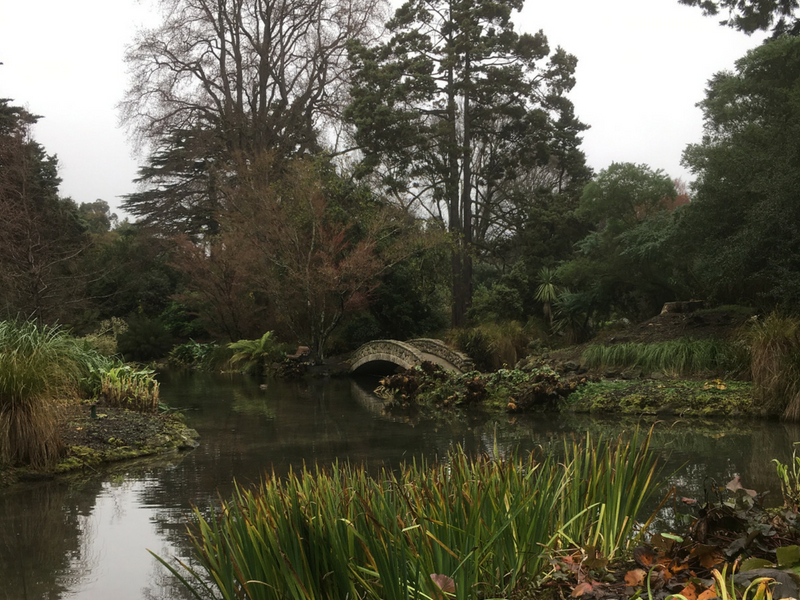 Starting on the South Island in the city of Christchurch, not even the rain and grey sky could detract from the beauty here. 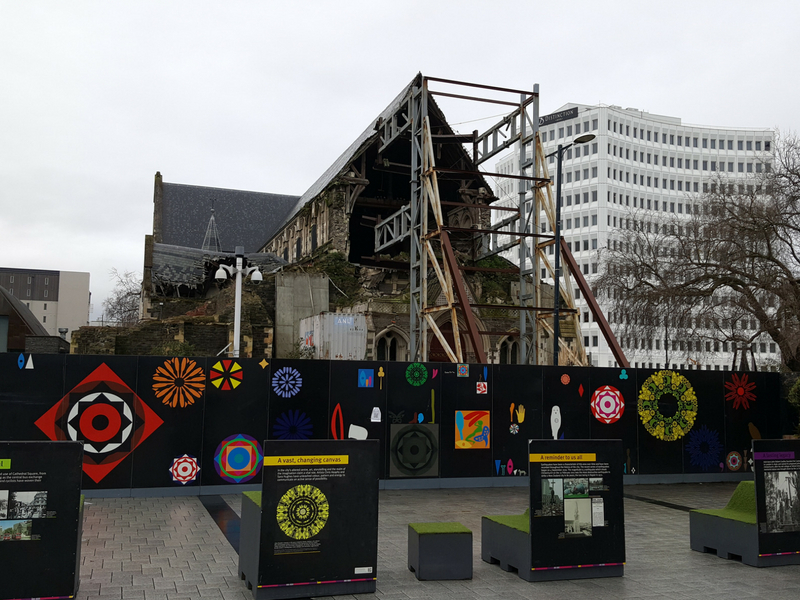 Unfortunately Christchurch suffered from a magnitude 6.3 earthquake on 22 February 2011 and much of the destruction of its buildings is evident, especially within the city centre. The main Cathedral within Cathedral Square is one of the saddest sights I’ve ever witnessed. Once a starting point for the initial city build back in 1850 this broken cathedral has seen numerous damages due to earthquakes over the last hundred years. However the Cathedral still stands in defiance against the quakes. However don’t let this put you off; the city is going through a multi-million rejuvenation project with a rumour of a 6 star hotel being built – making it the first in the Southern hemisphere. 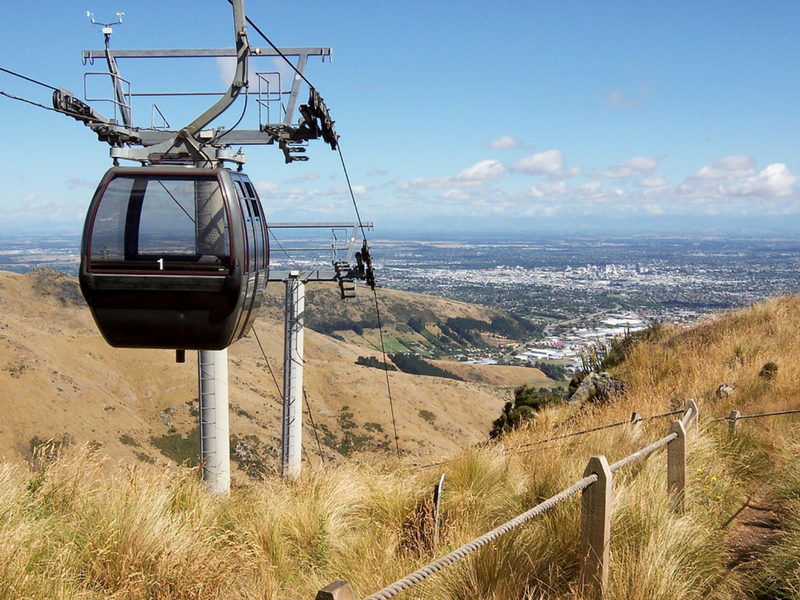 For a city, Christchurch is fairly small; you can easily walk around it or take the tram loop and see the best of the sights. A visit to the Botanic Gardens is definitely worth a visit and I can highly recommend the New Zealand garden. Another must do activity is the city’s gondola ride. 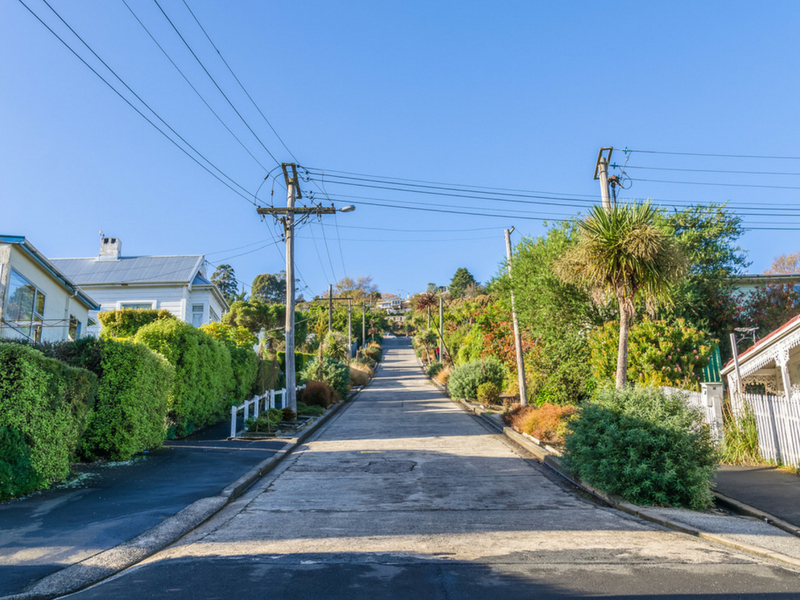 Here you can see 360 degree views of the city as well as the Canterbury plains and the dramatic hills of the Bank Peninsula. There is a designated shuttle every hour that leaves from the Botanic Gardens which is perfect for combining your activities. For food and drink you have a variety of cafes, bars, and restaurants to choose from. I even found a bar that served gin all the way from the Isle of Islay, nothing like the comforts of home when you’re on holiday. My next stop was the charming town of Oamaru. 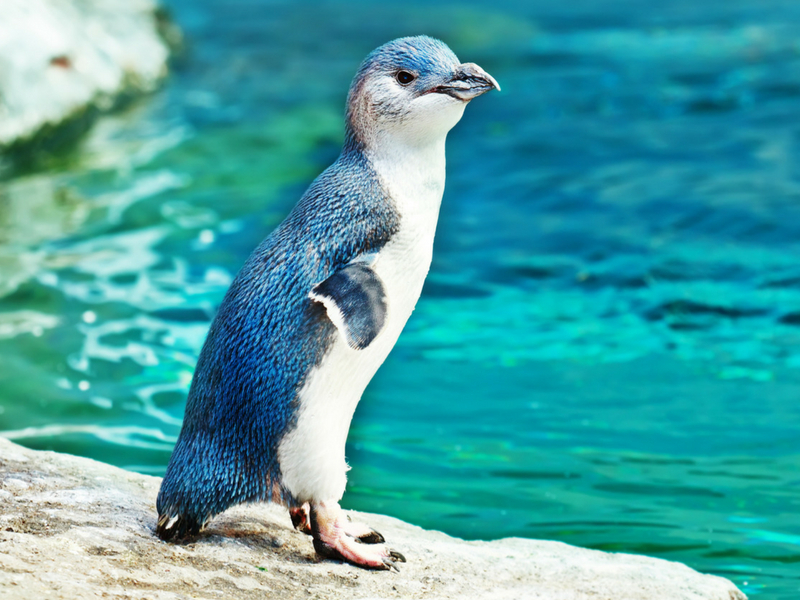 Famous for its Blue Penguin Colony, tourists from around the world come to see Blue Penguins arrive back into their natural habitat after a day out at sea. Standing just 30cm tall, you can’t help but marvel at them as they waddle up to their nests looking as if they have stumbled home later than curfew. 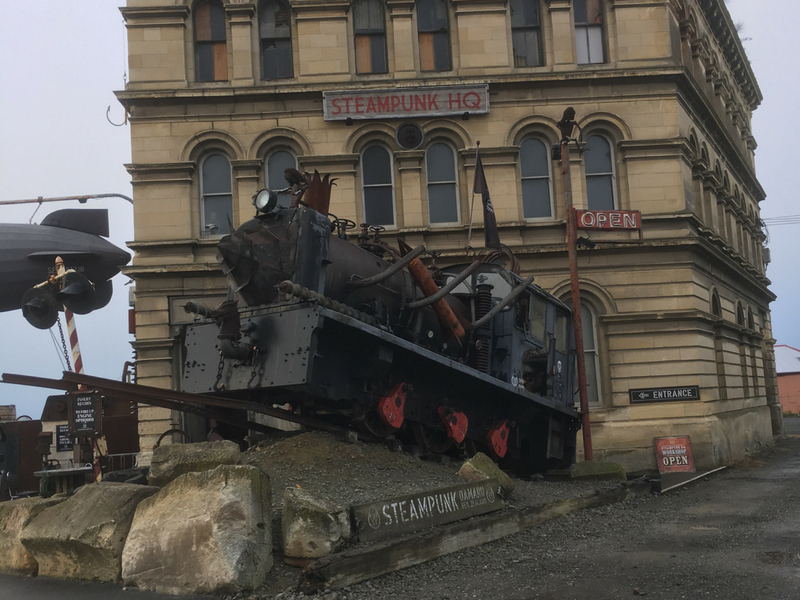 Oamaru has also been referred to as the Steampunk capital of the world and the heritage buildings within the town reflect this. The pièce de résistance though is Steampunk HQ. Within HQ you can interact with installations that feature sci-fi, art, sculpture and music which makes for a unique experience. My third stop was the city of Dunedin. Named from the Scottish Gaelic name for Edinburgh you can definitely feel the Scottish charm as you wander around it, they even have a Scottish shop located on their main street – George Street. Home to the University of Otago and with around 21,000 students, it’s no wonder Dunedin has such a vibrant nightlife and shopping scene. Dunedin offers a lot to see and do. 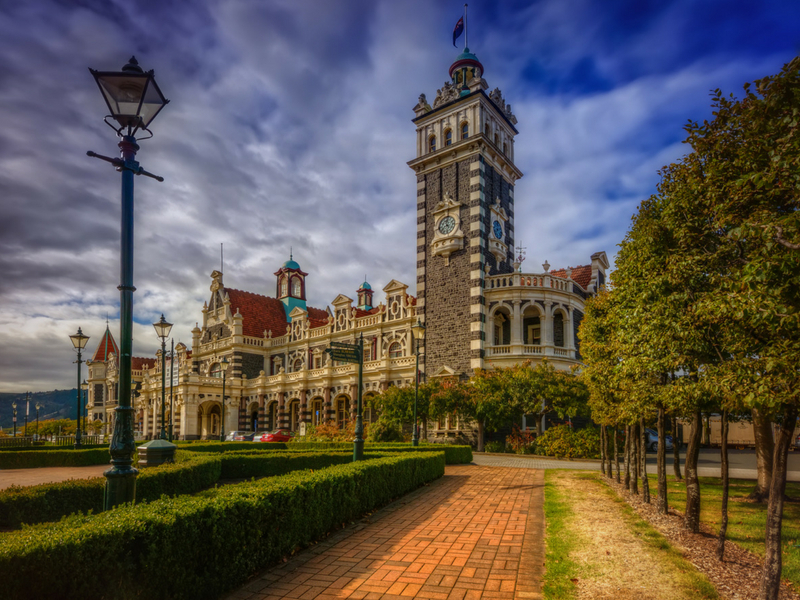 You can wander around their beautifully designed railway station, climb the steepest residential street in the world – Baldwin Street, tour New Zealand’s only castle – Larnach Castle or visit the local wildlife at the Royal Albatross centre. Travelling on to the smallc town of Te Anau, many people use it as a base for their travels on to Milford Sound and Queenstown. 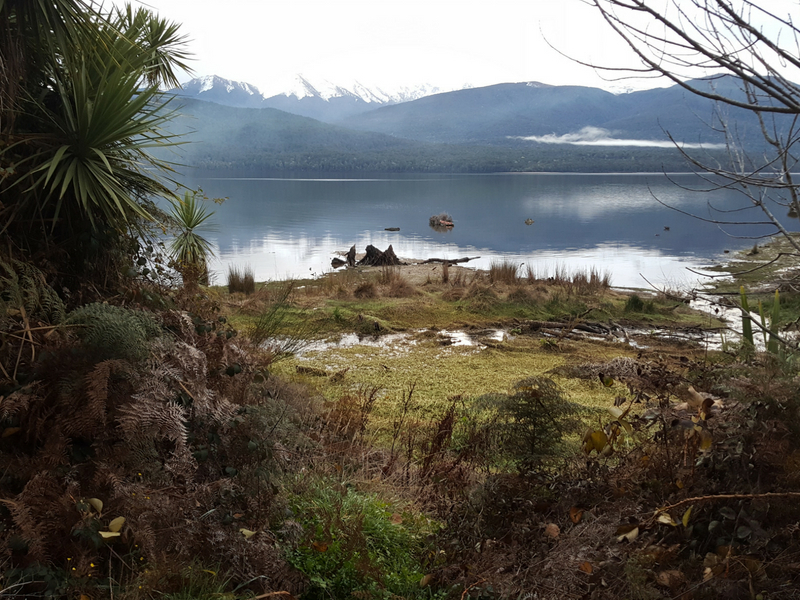 With nature right on its doorstep, you can walk along the waterfront, enjoy a boat ride on Lake Te Anau or walk the Kepler Track. Here you will find rich green forests, rugged mountains and even a local bird sanctuary. And if you are really lucky like I was, you may even see a wild New Zealand Falcon. 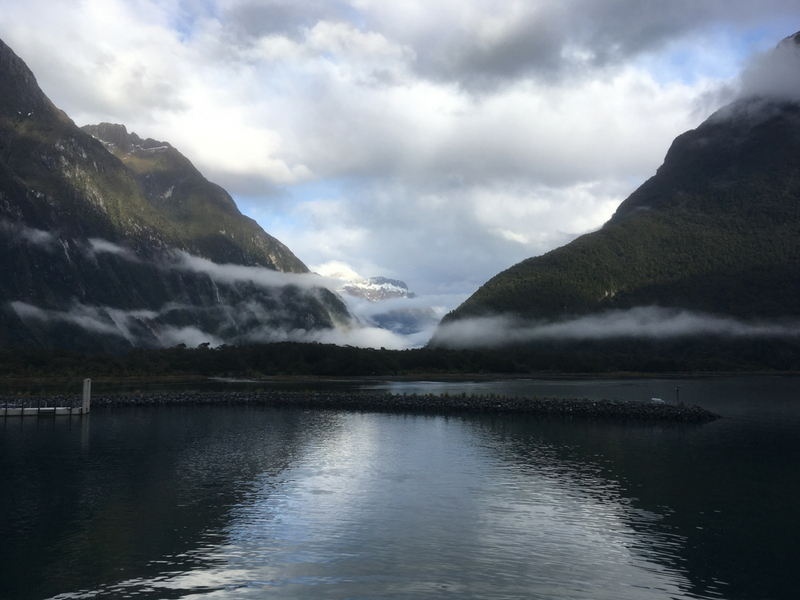 One of my favourite places on my travels was the trip I took to Milford Sound. There really aren’t any words that convey the true beauty of this magnificent wilderness area. It’s the jewel of the South Island. 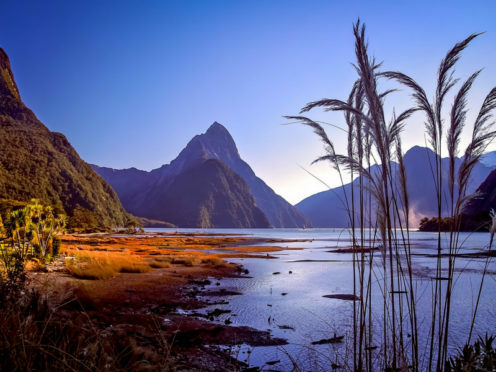 The best way to see Milford Sound is by cruise. 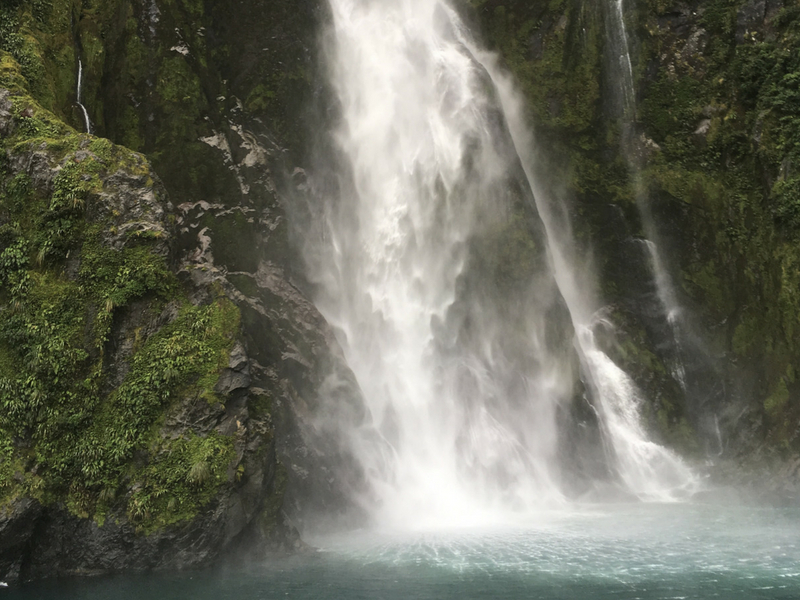 There are a variety of companies that allow you to get up close to the rainforests, Mitre Peak and the many waterfalls including its two permanent waterfalls; Lady Bowen (162m high) and Stirling Falls (155m high). This ‘Eighth Wonder of the World’ is a must do for anyone visiting New Zealand. Now if its adventure and an adrenaline rush you are after then my next stop has all that and more. Queenstown has so much to do that if you spent 3 months here, you still wouldn’t cover all the activities on offer. Here you can bungee jump, paraglide, ski and visit many of the local wineries nearby. With just a couple of days here, I opted to take part in the Kawarau zip-ride which is right next to the Kawarau bungee jump. The zip-ride is 130m long and very affordable; $50 for one ride including transport to and from the jump centre, I thought why not? It’s not every day you try experiences like this. 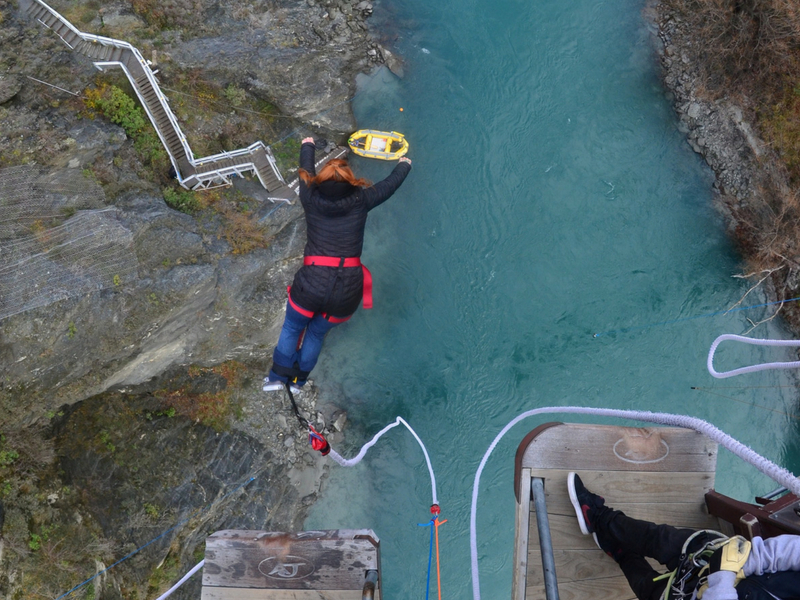 So after doing the zip-ride it made sense to give the bungee a go… That’s right, I did the Kawarau Bungee! For those that don’t fancy the adventurous stuff you can ride the Gondola to the top and look out over Queenstown. On a clear day, the views of the Remarkables mountain range glistening off Lake Wakitupu are spectacular. If you are a fan of wildlife then a visit to the Kiwi Wildlife Sanctuary beside the Gondola is a must. Family operated this wildlife sanctuary cares for and protects some of New Zealand’s most endangered birds including the native Kiwi. Queenstown is also a great spot for exploring the nearby towns of Glenorchy, Arrowtown and Wanaka. You can even take tours to the filming locations of Lord of the Rings. For food and nightlife, you have at least 150 eateries to choose from. 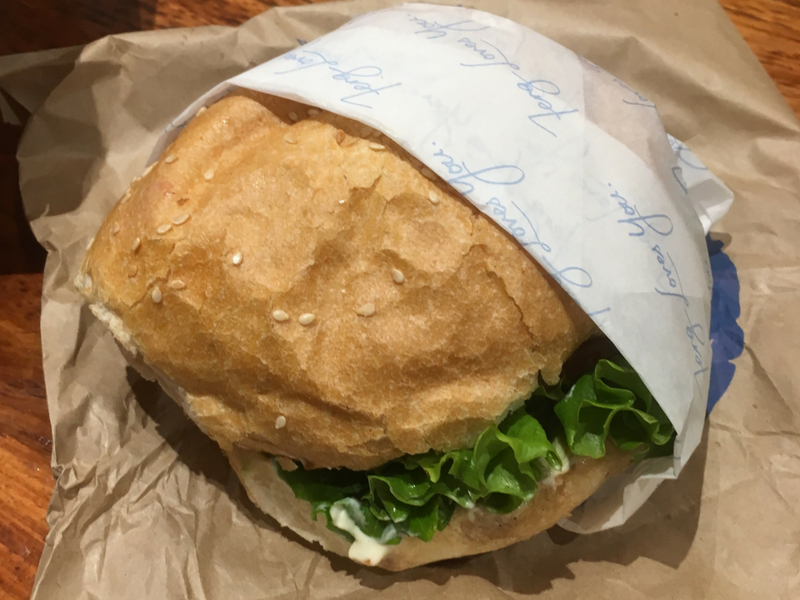 There is one place however that attracts hundreds of people a day and that is Ferg Burger. These burgers in my opinion are the best in the world! Right next door you also have Ferg Bakery and Mrs Ferg’s gelato shop. If you have room after your burger, I can highly recommend the gelato. 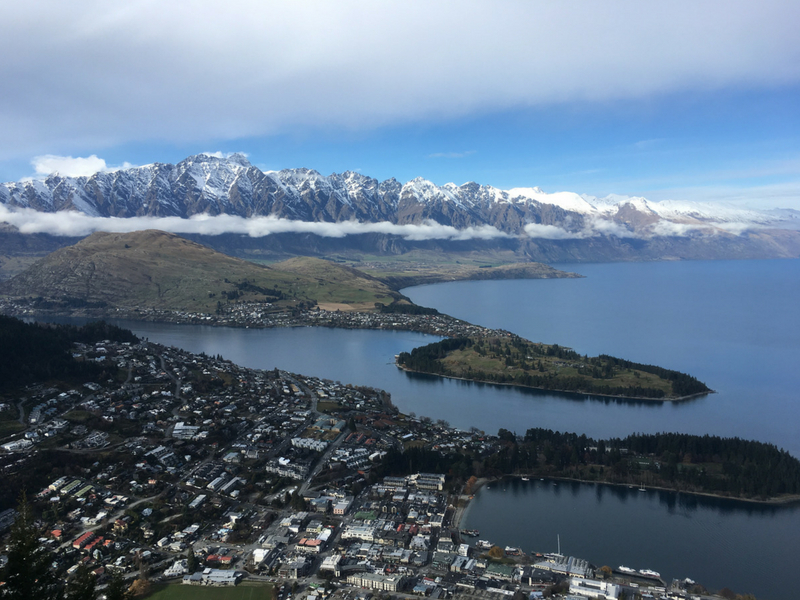 Queenstown is an experience in itself, there’s no place like it. My last stop in the South Island was that of Kaikoura. This delightful fishing town is great for spotting marine life. A tour with Whale Watch Kaikoura is highly recommended, they have a 90% success rate and on my tour, we were lucky enough to see three male sperm whales. Whilst on the tour, look out for other marine life as I was lucky enough to see Albatross as well as some Dusky dolphins. 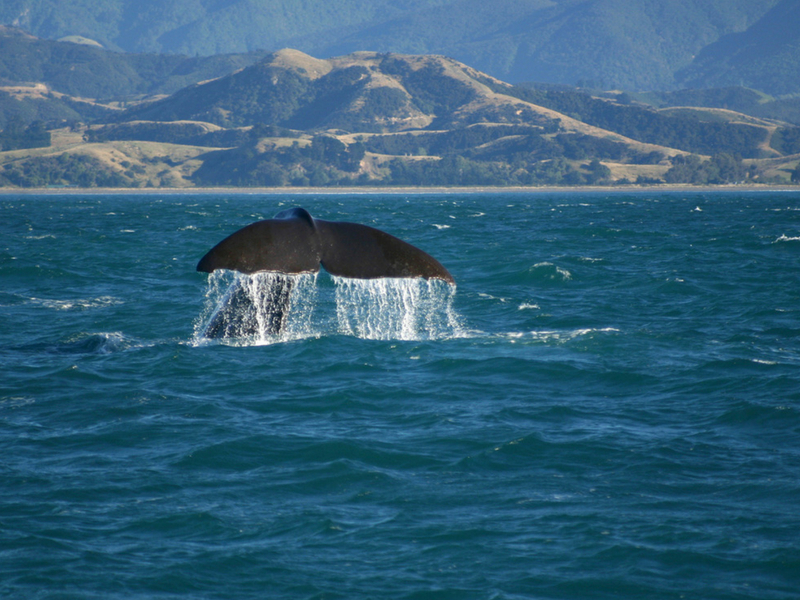 Blue Whales, Killer Whales and even a rare Southern Right Whale have been known to make an appearance. Our last morning in the South Island was spent in the quiet port town of Picton. Its harbour is full of gorgeous yachts that make you think of the Mediterranean ports closer to home. 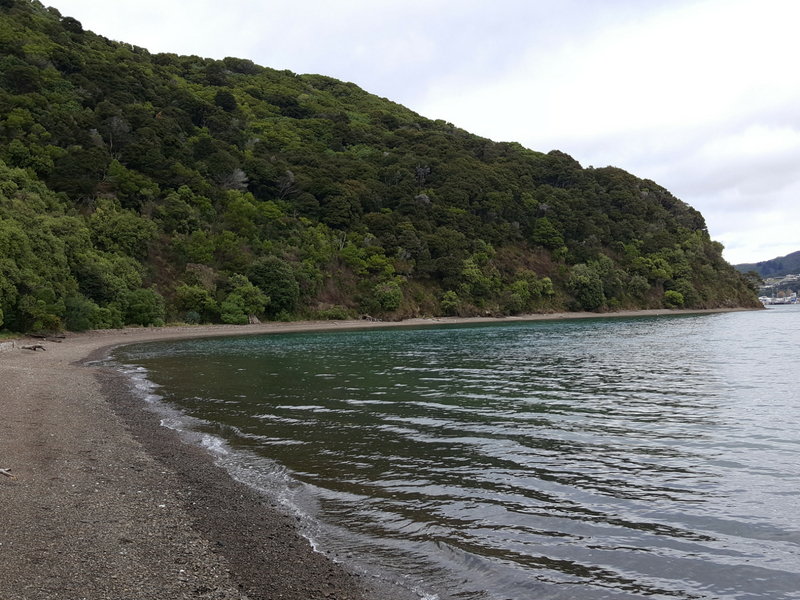 If you have a few hours to explore before your ferry, I can highly recommend a walk out to Bob’s Bay. This 30 minute trail showcases some spectacular landscapes and you can even watch the North Island ferries arrive in. This short stroll there and back again was the perfect way to end my time in the South Island. What a whirlwind of activities, experiences and sights I had seen but as they say the road goes ever on… the North Island awaits. Part 2 of Julie-Ann’s New Zealand adventure continues next week.